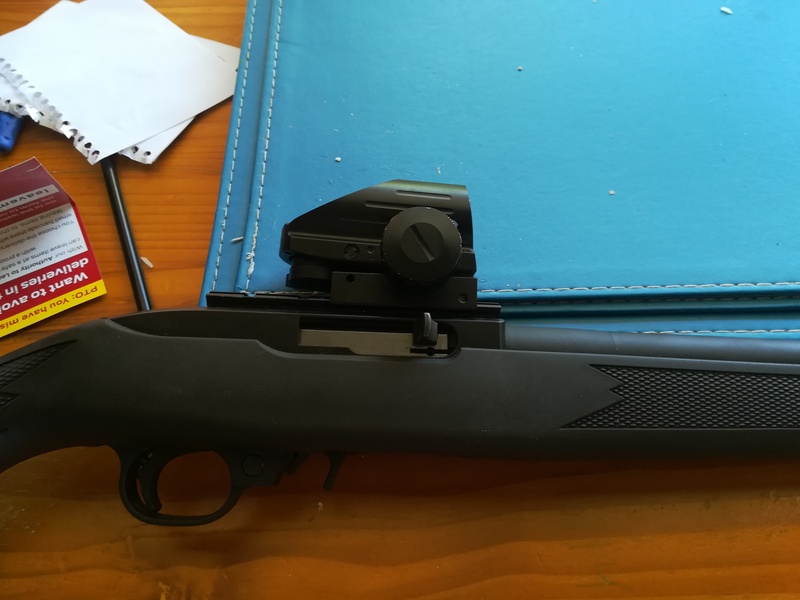 Well I have been contemplating a semi auto 22 for spotlighting missions on the Hares. 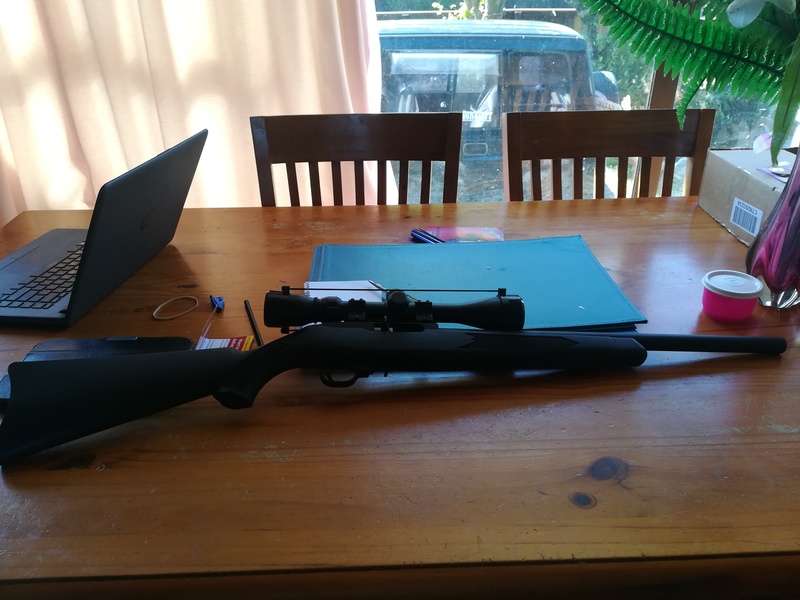 I agonised between ruger, marlin and a couple others for a bit, but my friend needed to free up some cash and had this Ruger 10/22 full over barrel suppressed jobbie sitting in his safe in as new condition. I snapped it up @ 1/3 current retail price even with the tasco 3-9x40 mounted on it. Lucky to have shot 100 rounds since new. I never like to leave things stock and like to have something a little bit unique so watch this space. muzr257, Ground Control, viper and 1 others like this. This is a dedicated spotlighting rifle, and maybe some pew pew pew fun. Most shots will be well inside 50 yards. 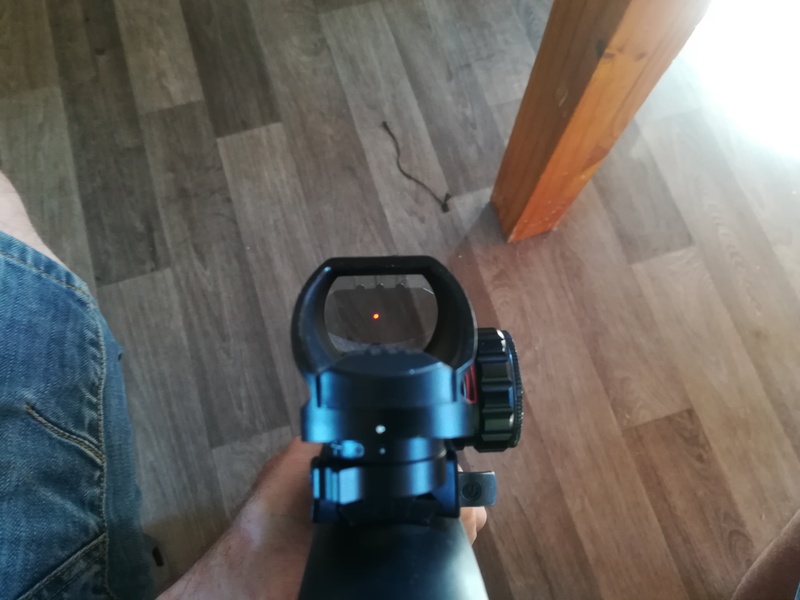 This sight has a 2 moa variable intensity dot. Ground Control, Mooseman, 223nut and 2 others like this. Right, I have pulled the trigger group and done the auto bolt stop mod. It was easy with the dremil, my advice is go slowly and where you take the biggest bit of material out you do need to make it a curve not flat. I stopped at flat and it didn't work, then proceeded to radius it out and it now works a charm. Sorry no pics of the bolt stop mod. 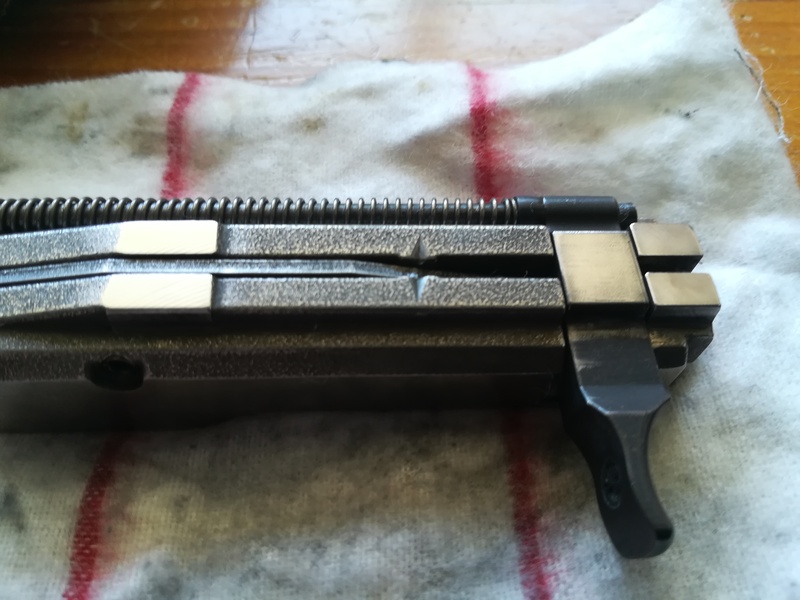 Whilst it was apart I cleaned the trigger group and polished the reciever and the top of the bolt. It feels smoother dunno if it'll make any difference but it can't hurt, it had no trouble cycling cci subs before, it does feel a lot smoother now. Unfortunately I haven't as time hasn't permitted, other than a standing mag dump @ 40 yards that produced a fist sized group. I know for a fact it shoots better than that. The bolt stop mod and polishing the bolt/reciever will likely make little to no difference in accuracy. I'm going to get the trigger lightened and the barrel permanently mounted after the roar and I'm sure that is where big improvement will be found. I will make time to shoot some groups before and after that. My receiver / barrel fit was excellent, apparently the newer stuff is greatly improved along with the barrels. Anyone tried the MAE suppressed version, i hear they're good ? @dannyb Can you please clarify on this? I'm just unsure what you were doing there. 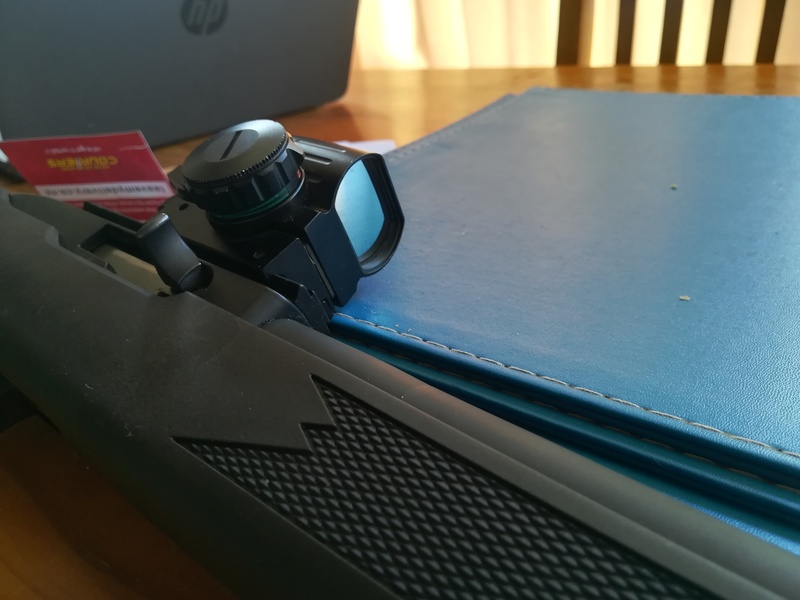 I also found that you can significantly improve the radius on the rear of the bolt so the resetting of the trigger is both smoother and quieter. This seems to also give better service on subsonic ammo as less energy is required to reset the trigger. Apologies if this is what you were talking about above. What are you wanting clarification on ? 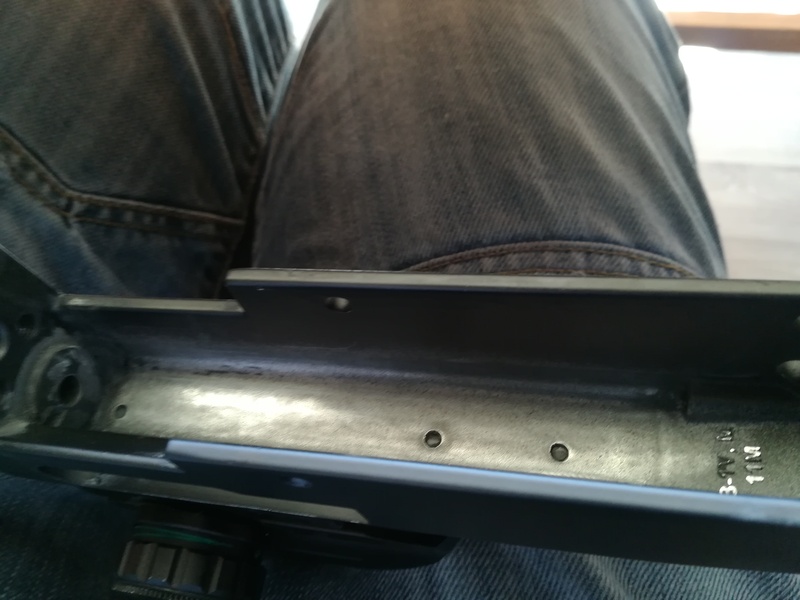 I polished the contact points on the bolt that contact the top of the reciever and I polished the reciever inside where in conts ts the bolt, there was a lot of over spray inside the reciever and apparently it wears off in time but polishing it removes it and aids in reducing the resistance when the bolt is cycling. Then again maybe it does nothing. Nothing ventured nothing gained, it won't perform any worse anyway.